Due to the economic and social effects of globalization democracy is currently in crisis in many states around the world. This book suggests that solving this crisis requires rethinking democratic education. It argues that educational public policy must cultivate democratic relationships not only within but also across and between states, and that such policy must empower citizens to exercise democratic control in domestic as well as in inter- and transnational politics. 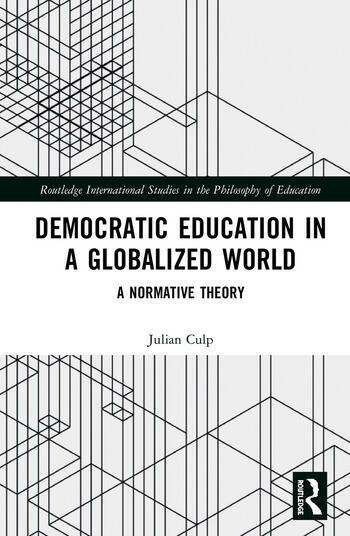 Democratic Education in a Globalized World articulates and defends democratic conceptions of global citizenship education and educational justice on the basis of a democratic understanding of global justice. It will be of interest to researchers across the fields of education, political theory, philosophy, development, and postcolonial studies. Julian Culp is Assistant Professor of Philosophy at the American University of Paris, France. He received his Ph.D. and Habilitation in Philosophy from the Goethe University of Frankfurt, Germany.